Aubrey Hammond is the Scholarship Officer at the Community Foundation. In this role, she manages the program, which provides approximately $2 million annually in grants for post-secondary education. She is responsible for processing all applications, administering awards and analyzing the impact of these scholarships. 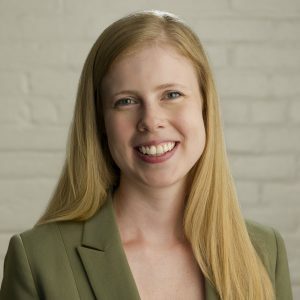 Prior to joining the Community Foundation, Aubrey worked as a Database Specialist at the Buffalo Museum of Science where she managed the donor database for both the museum and Tifft Nature Preserve. Previously, she worked as a Site Supervisor at The Princeton Review, the college admission preparation service. Aubrey received her B.S. in Business Administration and B.A. in Anthropology from the State University of New York at Buffalo. She attends and serves at Restoration Church.